For decades there have been periodic spikes of outrage as (sometimes misinformed) groups of people protest games that depict varying levels of violence. These groups just suffer from being human. Afterall, It’s human nature to look for patterns. That was a necessary survival tactic as we were evolving. If other members of our tribe were getting sick as they ate something, or drank from a specific body of water, we had to recognize that “food” or water as something to avoid. If the tall plains grass always moved in a certain way before a wooly sabre cut struck, we needed to recognize the signs to detect the danger before it arrived. That search for patterns is still ingrained in us. Nothing fires it up quite like when we think something is inspiring violence. This tendency to avoid danger and search for patterns means a lot of misplaced outrage. What this means in a nutshell is that just because two things seem related, it doesn’t mean they are the cause of each other. For example, ice cream sales increase at the same time that violent crimes and murders increase. But you can pretty safely assume a delicious frozen treat isn’t making everyone more likely to commit acts of serious violence. Instead, there’s an influencer playing behind the scenes. It’s called a lurking variable. In this case, it’s heat. Heat means people are out and about. Heat can make people horny, bored, and violent. And the other side of that is, yeah, of course people will buy more ice cream when it’s really hot outside. Video Game violence is nothing new, but as with the increase in sexual content on television, video game violence has become more mainstream. The boundaries are continually pushed. In 1976 a game called “Death Race” had to be pulled from shelves. Why? Because people were outraged at the over-the-top and way-too-extreme violence being exhibited in the game. Sounds nasty, right?! It was a game in black and white, with graphics landing somewhere in between pong and space invaders, nowhere near the photo-realism of today. The objective was to run over little gremlins, at which point they’d make a little death noise and a gravestone would pop up to represent their demise. This outraged people so much forty years ago that the game manufacturer actually pulled the game from market. Video game culture was in its infancy back then, it wasn’t the billion dollar powerhouse that it is now. That same kind of torch-and-pitchfork mentality still exists today. It’s another aspect of human condition. We are predisposed to see facts that support our ideological positions. You probably remember the Sandy Hook tragedy in 2012. Massachusetts pulled arcade games with plastic guns from its rest stops, replacing them with more “appropriate’ games. They found violent games, among other things, on the shooter’s computer, and violent games have always been an easy target. A recent report by the APA found that there is insufficient evidence to show causation between violent video games and the commission of violent crimes. The study essentially tasked a team with looking at all the academic papers on the violent video game issue in the time period between 2005 and 2013. What they determined is that video games could actually have a correlation with aggressive behavior, but not necessarily violent behavior. There are important caveats here. Researchers know that it’s not one particular thing that makes people more aggressive. Rather, it is an accumulation of “risk factors” that seems to lead to more aggressive tendencies. In this case, they found sufficient evidence to list violent video games as a potential risk factor for aggression. This means violent video games alone aren’t enough to make people aggressive, but in conjunction with other risk factors they pose a threat. The fact that video games aren’t enough to cause aggression on their own should be pretty obvious. If you google “top ten video games of 2015” you’ll see games like Witcher 3, Metal Gear Solid V, Bloodborne, Batman: Arkham Knight, and Fallout 4. All of these games require you to neutralize opponents, either human characters or humanoid characters. And with millions of copies sold, played in households that sometimes have more than one person playing the same copy of the game, we don’t see millions of people becoming aggressive all of a sudden. The article-review task force cited some insufficiency in the studies they looked reviewed. For example, there’s no separation of outcomes for male and female audiences. Is one gender more likely to adopt the aggression from playing aggressive games? A whole host of the studies look at children aged ten or younger. While this could be valuable for examining early impacts of violent games, it does little to show what happens as children develop. A child at 7 and the same child at 14 are two very different people, and a lot of the research doesn’t account for that development. New perceptions of importance and new influences are added into a child’s life constantly (like puberty and the influence of sexual attraction) in those early days, and these studies do little to examine that. So the APA has determined violent video games are a risk factor in aggressive behavior. Games are only one piece of the convoluted puzzle that could, in theory, make for an aggressive child. Does aggression equate to violence? In short, no. There is no indication that any violence comes from video games. There are so many lurking variables compounding these studies. The argument goes back to correlation and causation. 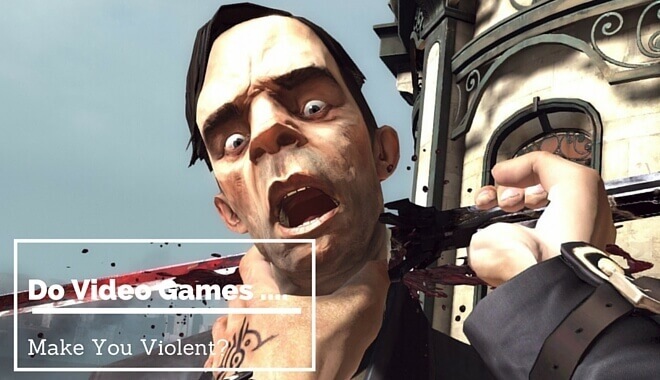 It could be that aggressive people have an increased interest in violent games. What about the effect of non-violent games on behavior? Where do games really fit in within the grand scheme of human behavior? Do game designers have an obligation to make different games if research continues to show behavioral effects? For now all the APA has done is appeal to the ESRB. The APA wants the rating board to adjust the game-rating scale to reflect these recent findings. Would that be such a bad thing? Is it better to redraw the lines of acceptable content for certain age groups? Will the future see an attempt at serious game censorship? For now, thankfully, the research doesn’t support any extreme moves or regulation against violent video game content.